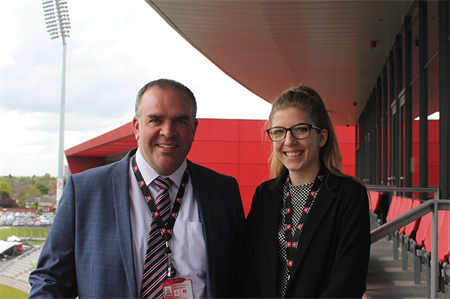 Emirates Old Trafford, Manchester has announced the appointments of Dan Whitehead as business development manager and Louise Milne as business development support. Whitehead joins the sporting venue following 13 years of experience in the industry having already worked at venues including Uttoxeter Racecourse, while Milne joins having recently completed a degree in event management. Angela Hodson, head of conference and events at Emirates Old Trafford, said: "We are all incredibly excited to welcome Louise and Dan to our fantastic team. Both are able to provide our all already established team with an additional wealth of in-depth knowledge of the conference and events industry."